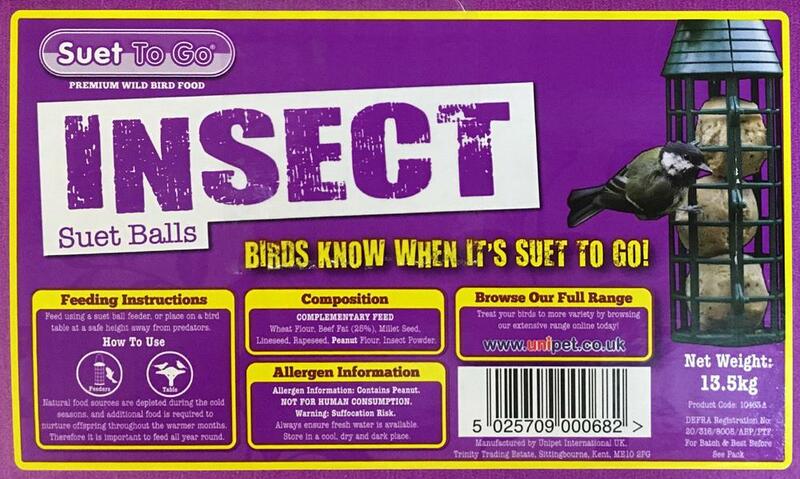 Please note we cannot place any *Add-on* items in the same box. 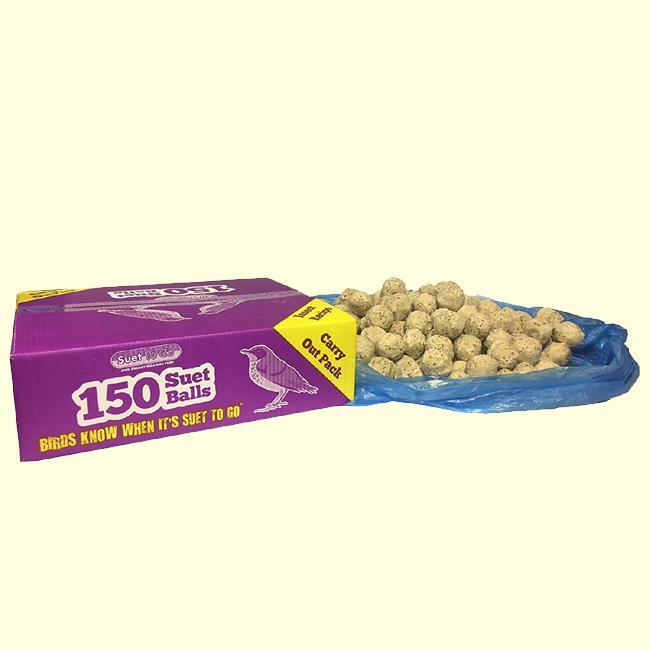 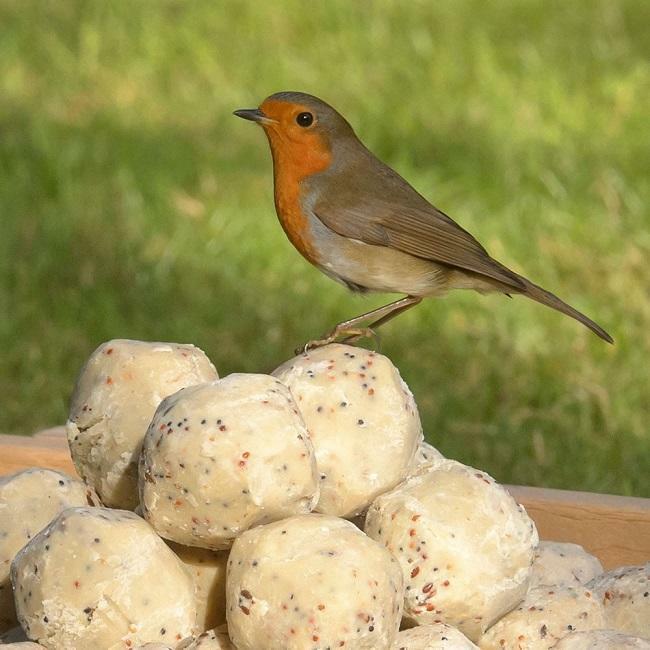 Suet-To-Go 150x90g Suet Balls (Fat Balls) REFILL PACK for wild birds. 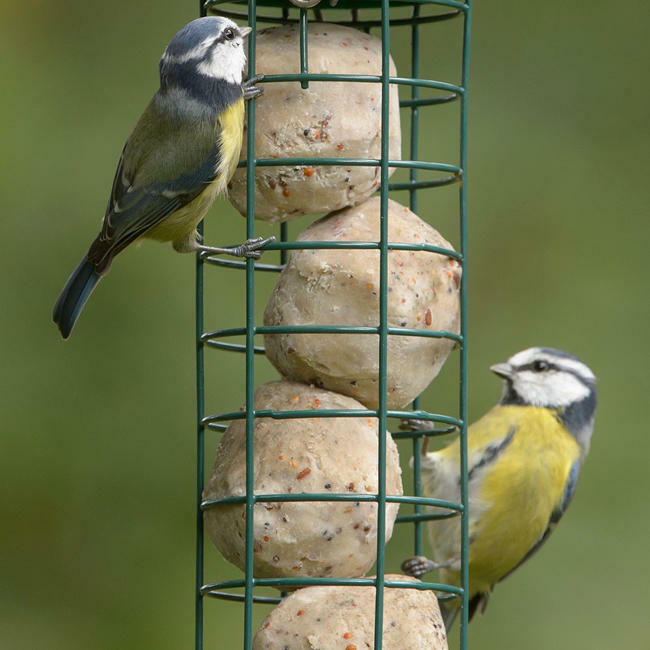 These refill packs contain 150 x 90g 'Super Premium' suet balls which are made from Wheat Flour, Beef Fat (25%), Millet Seed, Linseed, Rapeseed, Peanut Flour and Insect Flour.